29 July 2011: It is 3 + 2 ! On Friday 29 July 2011 the northern hemisphere tropics are looking quite active. Today there are three active tropical storms and two tropical waves [ 3 + 2 ] that warrant close monitoring as they continue to develop. 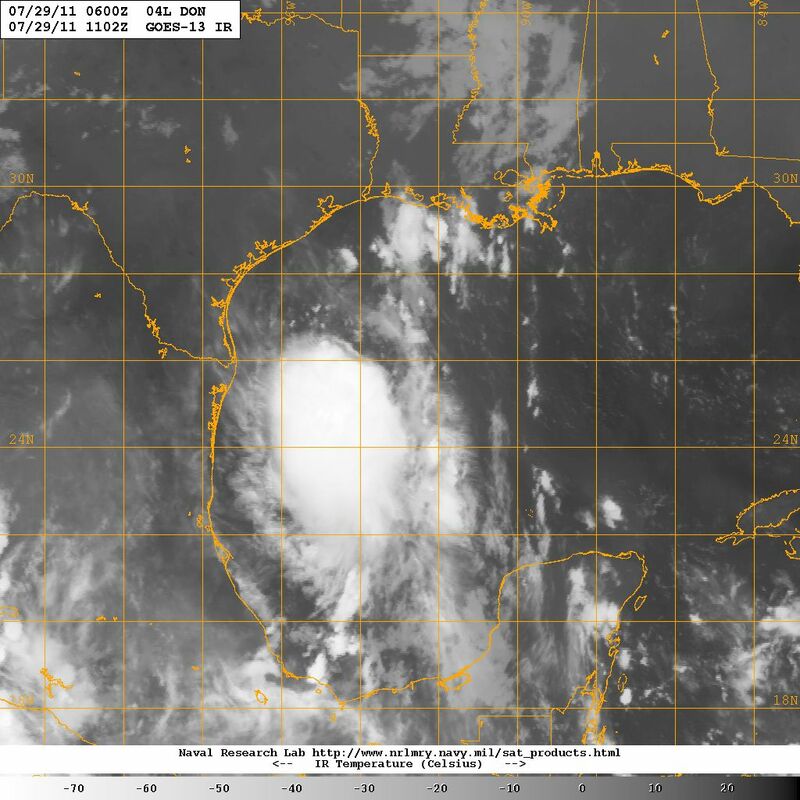 A strengthening tropical storm DON is in the Gulf of Mexico approaching the southeastern coast of Texas, carrying much needed rain for that drought-parched state. Tropical Storm DON's track on 29 July 2011 developed by the U.S. Navy Research Laboratory. 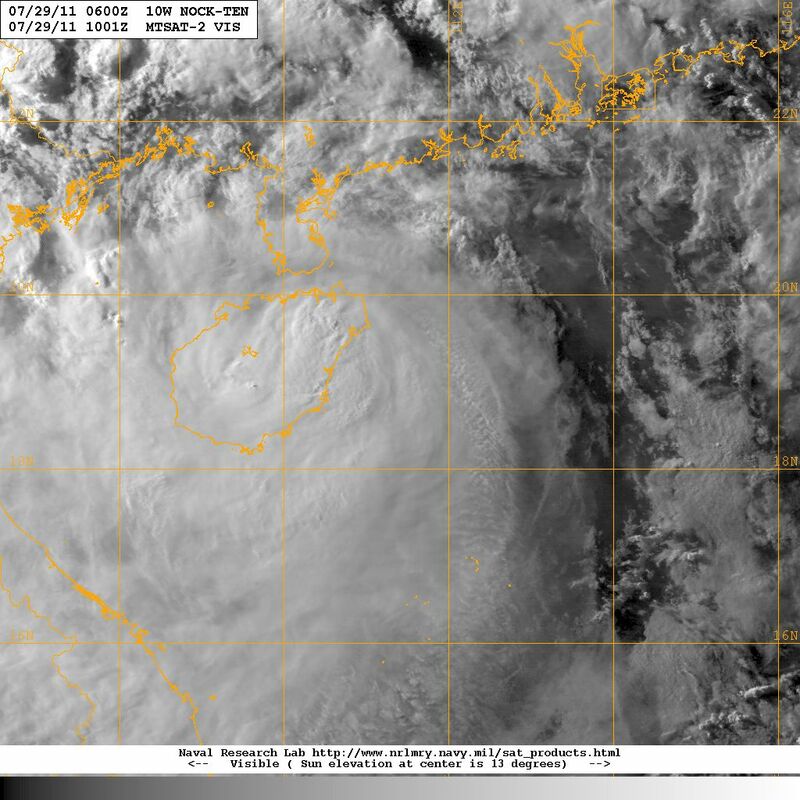 Tropical storm NOCKTEN is in the South China Sea attacking the island of Hainan as it continues moving toward Viet Nam. 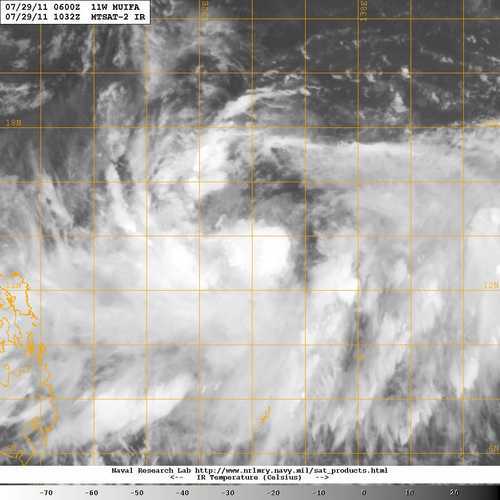 Tropical storm MUIFA is to the east-northeast of the Philippin, over the Philippines Sea, veering toward southern Japan. 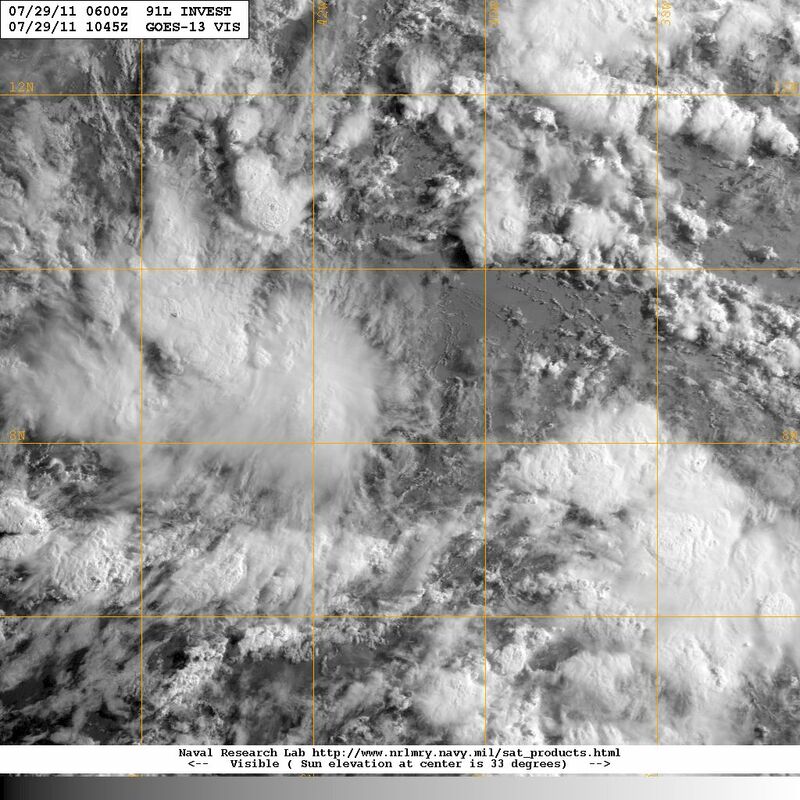 In addition to these active tropical cyclones there is a large tropical wave in the midst of Hurricane Alley, in the Atlantic, which warrants closer investigation and monitoring as conditions ahead appear favorable for possible cyclonic development. 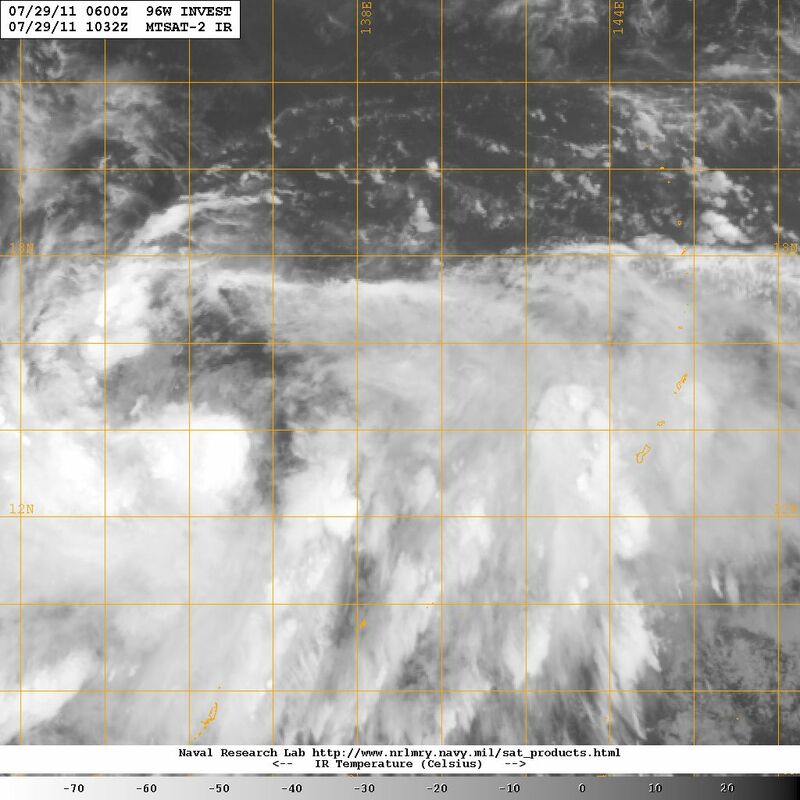 And there is another similar tropical wave in the western Pacific near the northern Marianas, which also needs monitoring for potential cyclogenesis. Elsewhere in the northern tropics there are numerous areas of stormy weather, such as in the southern Caribbean off Central America, the eastern east Pacific off Central America. and in the northern Indian Ocean, as well as over equatorial Africa.